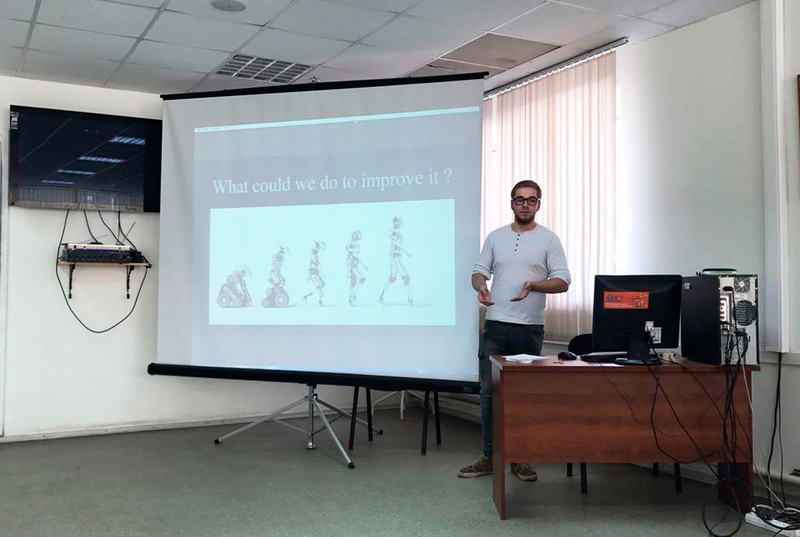 Students from the University of Limoges and EISTI (France) have completed their summer internships at TUSUR University. 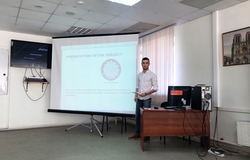 The students have spent the three months of summer working on their research projects under the supervision of scientific advisors from TUSUR University. 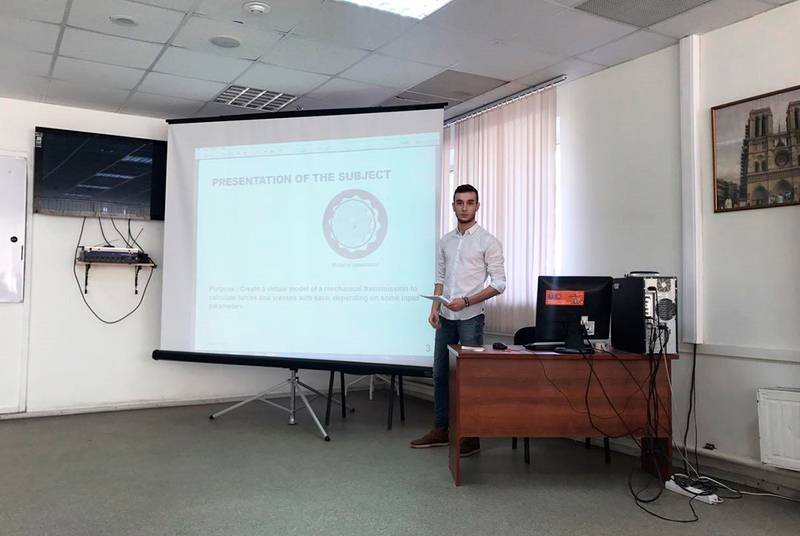 On August 23, they presented their results in communication systems, robotics and software engineering. 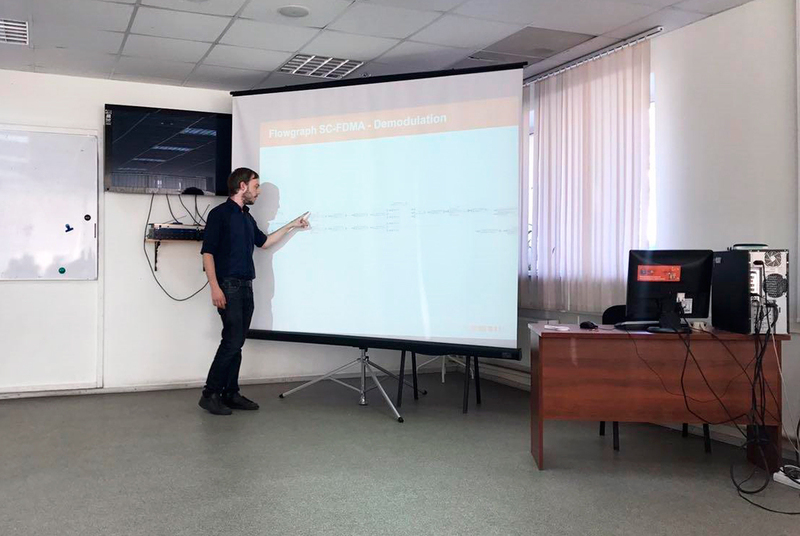 «The students have a good academic background and strong knowledge of programming, which made their work very productive. 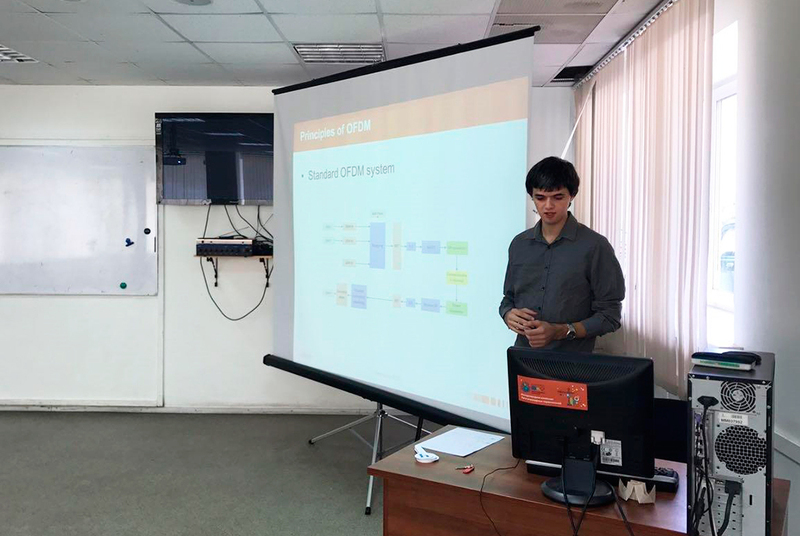 During their internship, they have mastered the principles of simulation and learned to work with the equipment, studied signals and algorithms for data reception, processing and recovery in high-noise conditions,» said Yevgeny Rogozhnikov, an internship project supervisor, Associate Professor at the Department of Telecommunications and Basic Principles of Radioengineering. 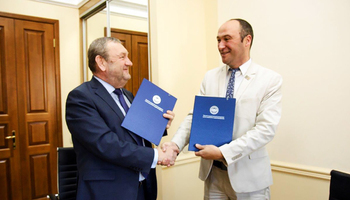 EISTI is a new partner of TUSUR University – the bilateral cooperation agreement was signed in May, and the first EISTI students arrived to Tomsk for an internship this summer. 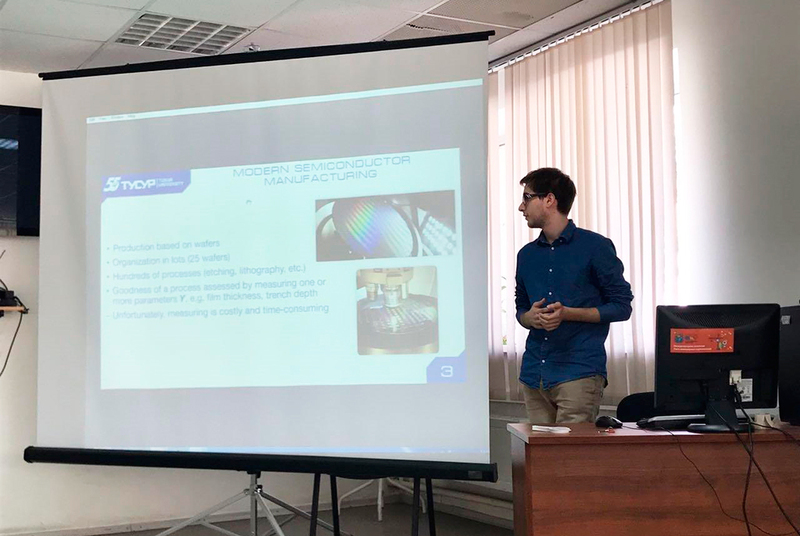 Although the University of Limoges is a long-term partner of TUSUR, it was the first time in the 10 years of their partnership for TUSUR to have welcomed students from ENSIL, a unit of Limoges. 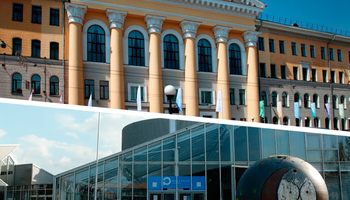 ENSIL is a renowned school in Europe for its high quality of R&D work in telecommunications. 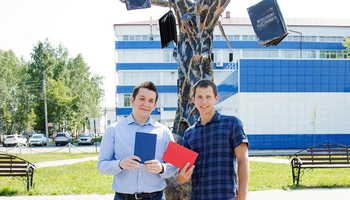 «The key principle of academic mobility programs is parity among the partners. We are happy to welcome international interns as the offer a fresh perspective to research and help our students and faculty overcome the language barrier. But most importantly, international students are ambassadors of their universities, working to bring us together and opening new opportunities for our own students. 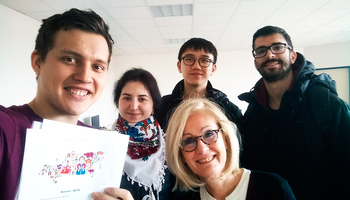 We hope that our new partnership will bring in even more international internships next year,» comments Expert of the Division of International Cooperation Maria Afanasyeva.